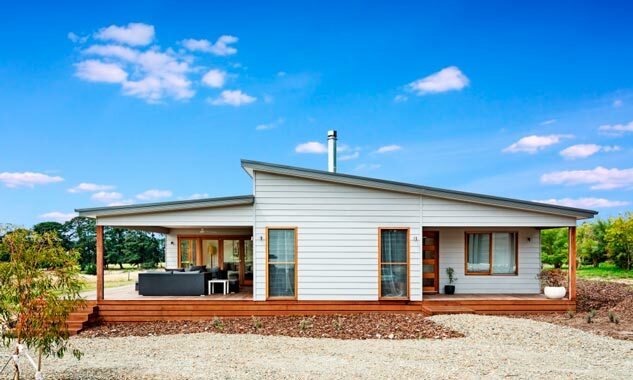 Anchor Homes, a group of Australian contractors, is responsible for the construction of this amazing modern prefab home. 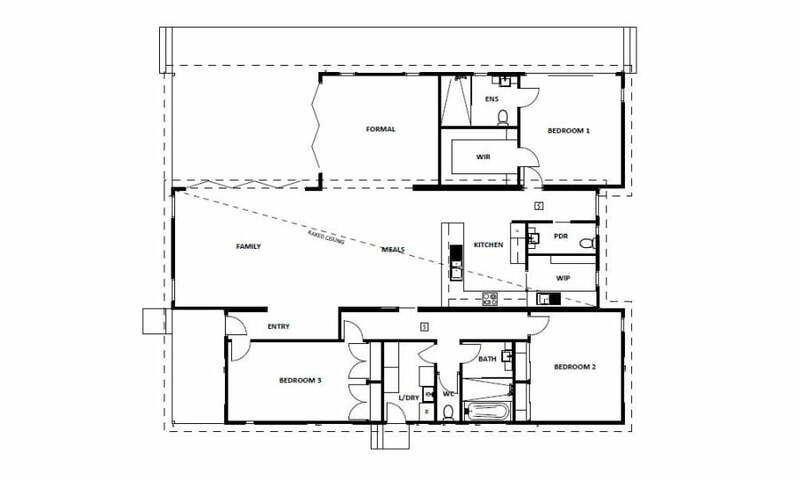 Squares and rectangles make up its floor plan. The exterior walls are constructed with white wooden panels while its foundation and stairs are done with brown ones. The yard is landscaped with a stone car path and Bermuda grass for the yard. An outdoor living room appears at the side of the house. 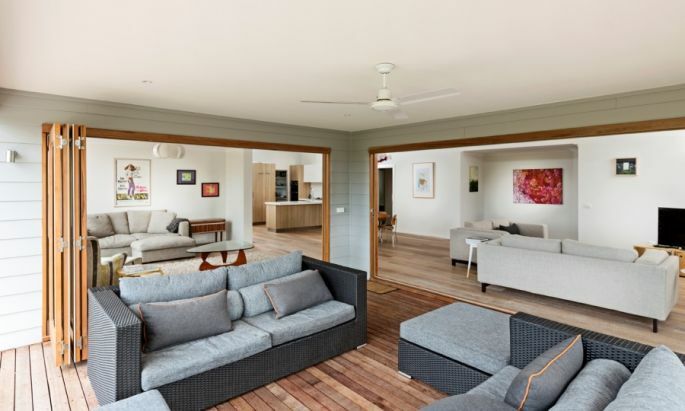 Sliding wooden dividers connect the outdoor living room to the main house, providing the option on whether or not to keep the house closed or open to visiting guests. 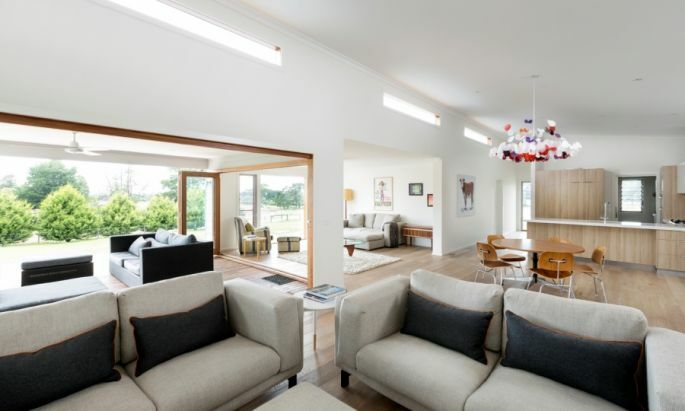 Modern furniture pieces are perfectly suited for the house’s minimalistic and neutral appeal. 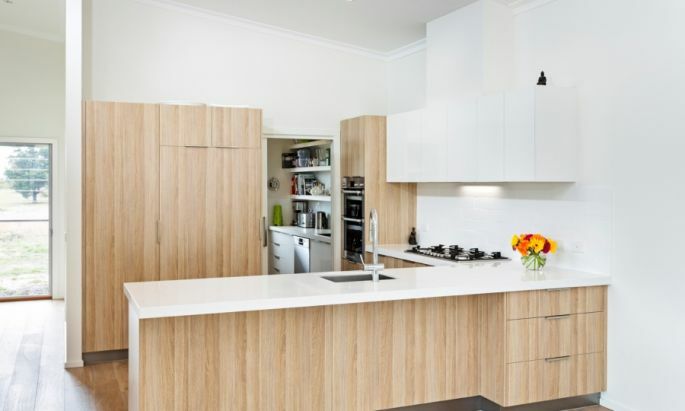 Adding to the neutral tones are polished light-brown wooden floors that match the wooden cabinets and counters. 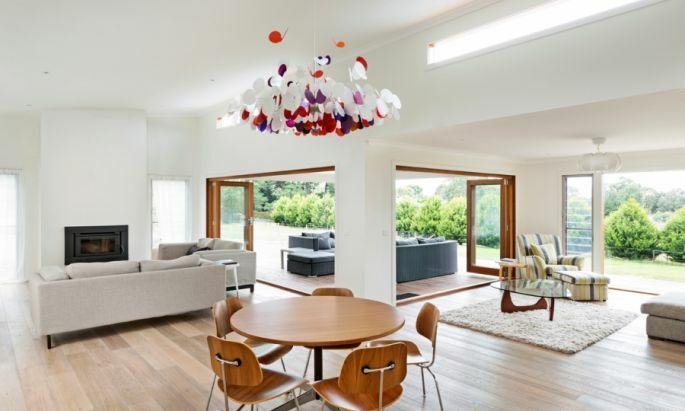 A few pieces, including the sofa chair set and the chandelier, give the house a wonderful burst of color; a break from the neutral and modern theme. The furniture pieces can be taken as home décor as well since there’s not much decoration lying around. There are other things you can do to make it all better. 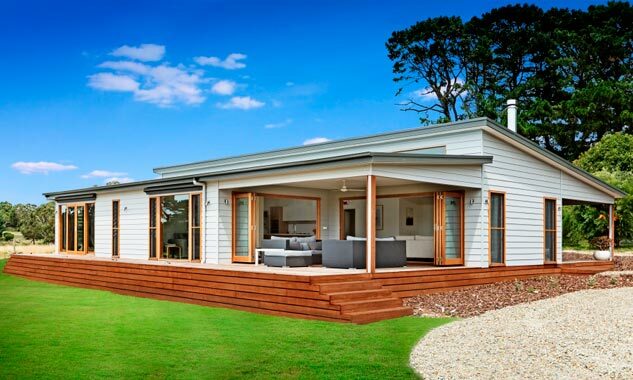 If you want a more low-maintenance structure, you can build it using steel frames or metal sidings. You can gain lots of perks with this move. It’s the resort recommended by most experts. If you want to see them all in detail. Take a closer look at the pictures below. They’re all irresistible and truly imaginative. Prepare for awesome home design ideas from this awesome gallery! Stats: 1,940 sq. feet, 3 bedrooms, 2.5 bathrooms, kitchen with dinning room, laundry room,porch.